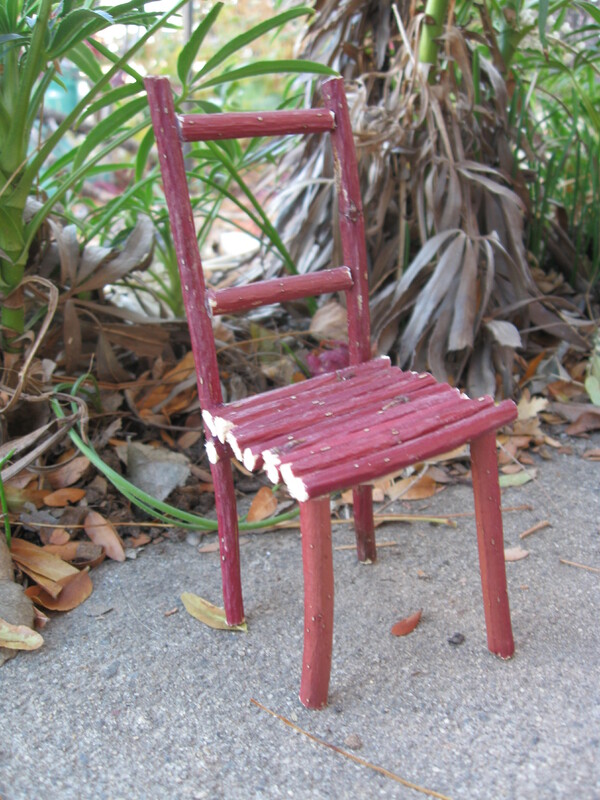 I am in the process of making a little chair to use for display purposes. I’ll be adding a paint wash to age the cuts on the twigs. I am trying to decide how best to embellish it. Please let me know if you have any ideas for that.